Jaz is a Sydney-based Contemporary and Jazz vocalist. Holding a Bachelor of Music and Bachelor of Education, Jaz has had a vast amount of experience performing for Weddings, Functions, Events, Parties, Cruise Ships and Festivals, and at a wide variety prestigious venues all around the world. Jaz’s voice is smooth, soulful and easy to listen to, making her the perfect choice when in need of some ambient background music, or upbeat party tunes. 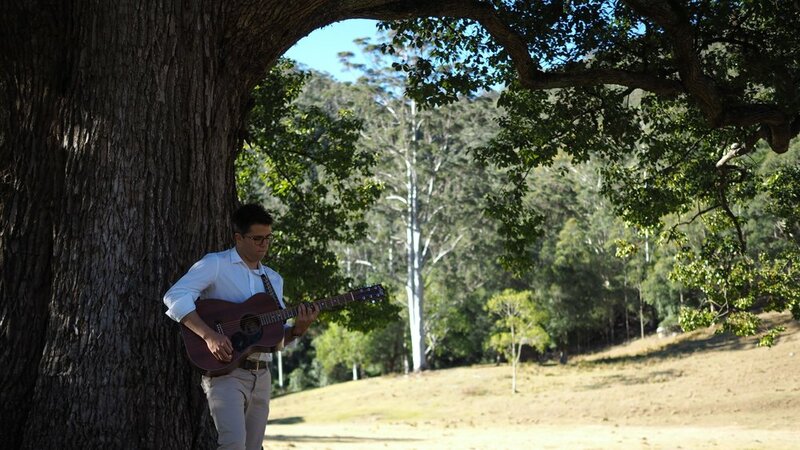 Jesse began playing guitar when he was 5 years old, and is now a professional Sydney-based guitarist and song writer. With a Bachelor of Music, Jesse specialises in both the acoustic and electric guitar and is known to have some solid bass chops on the side. He is a master of the Loop Pedal, and with only his guitar, makes it seem like there is an entire band behind him. Jesse writes and performs music with his original bands, along with performing regularly at a range of events and venues.